Efficiency is a critical component in every engineering process. Processes involving drive systems such as motorized units and gear boxes require reliable drive systems. The quality of the drive used for a given application determines the overall process output and efficiency. This can technically be quantified in terms of the amount of energy consumed. Another critical component of evaluation relates to the amount of heat loss and emissions the drives suffer. Danfoss drives are precisely crafted to optimize the process output, without deterring the operational efficiency of the drive system. 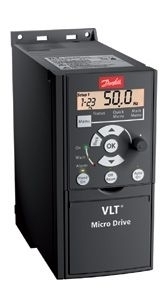 Since each class of the Danfoss drives is crafted for a given energy consumption rating, the processes can always be quantified in voltage and amperes. Higher consuming processes require heavy duty drives, leading to improved energy consumption. The Danfoss DrivePro line of products allows a further collection of drives for those looking for higher torque. The line of drives is also known to have less noise, hence suitable for most consumer and industrial applications. Power leakages within a drive system often constitute 20-40% of overall energy loss. When properly handled, such avenues for energy and gas leakage result in improved efficiency. In the technical sense, all joints within the drive system should be professionally sealed with the right gasket. Effective mechanical drives have minimal or no backlash at all. This is minimized by ensuring that all the moving axels are tightly interlocked onto one another. By having the backlash effect on such parts controlled, the overall efficiency of your Danfoss drives is improved by 10-20%. It also helps in avoiding repeatable readings. To get the right Danfoss drive for your industrial or commercial use, you need to have the right information and a professional lead to the options available in the market. It is for this reason Bauer GMC comes in between the consumers and the manufacturer to give you the best service.